We have really enjoyed creating and showing how to Step It up here at Bo Bunny! In fact, we liked it so much with layouts, we decided to do it with cards! the next level by Stepping It Up! First up, we have Romy. 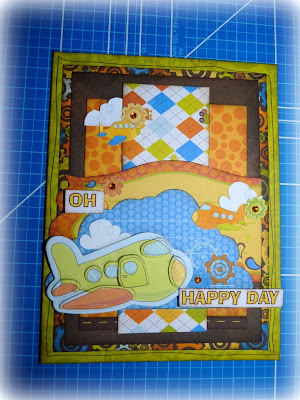 Romy has gone all out with her card and not only Stepped It Up, she's showing you step by step how to do it! 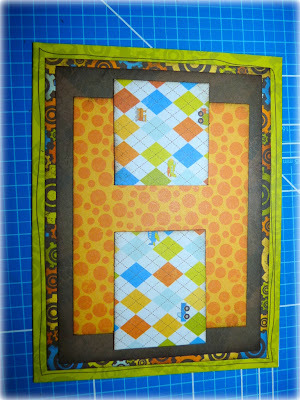 1) Use one of the cards from the card kit as a base for your card. 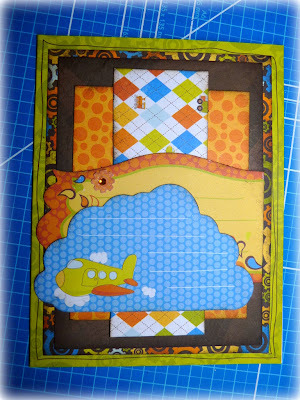 2) Cut several pieces of paper in different sizes from the papers in the mini paper pad. Ink the edges and position them on your card in the desired way. 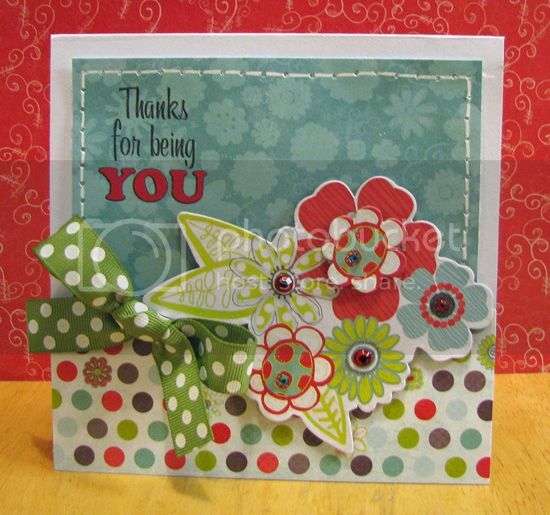 3) Glue down two of the Noteworthy embellishments in the middle of your card. 4) Embellish your card with a few chipboard stickers, rub-ons and fussy cut clouds and planes. 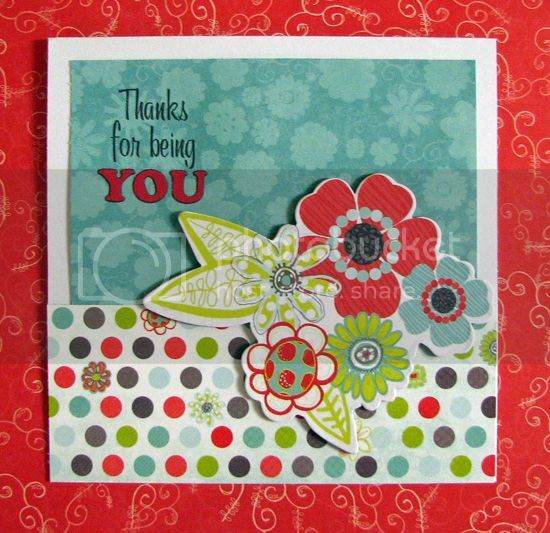 Rub the sentiment rub-on onto a strip of white paper and adhere them to your card using foamtape. 5) Finish off your card with a few jewels, glitter glue and liquid pearls. Next up, we have Sarah. 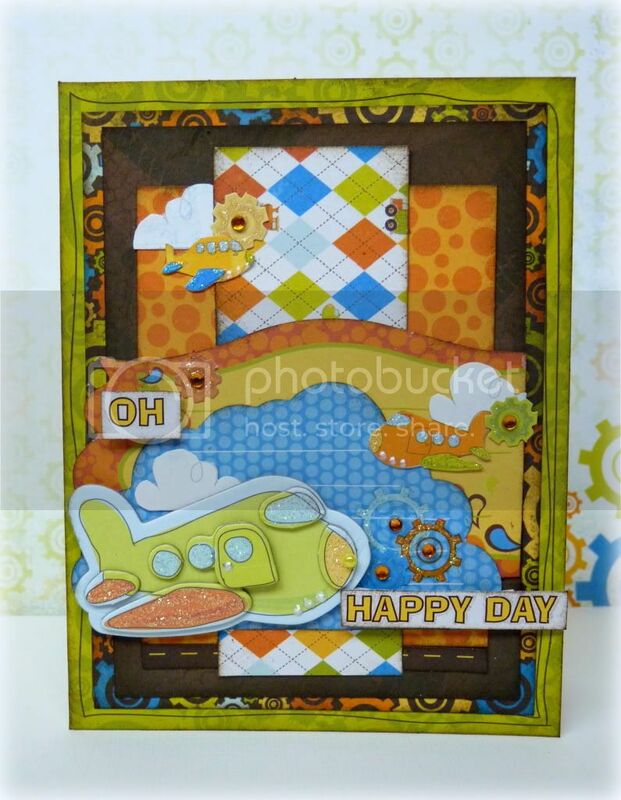 Sarah has taken an already adorable card and Stepped It Up to make it over the top! 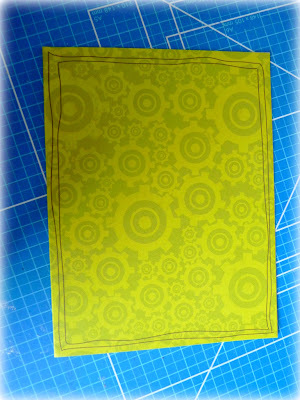 Step one: Create a 5 x 5 card base out of white cardstock. 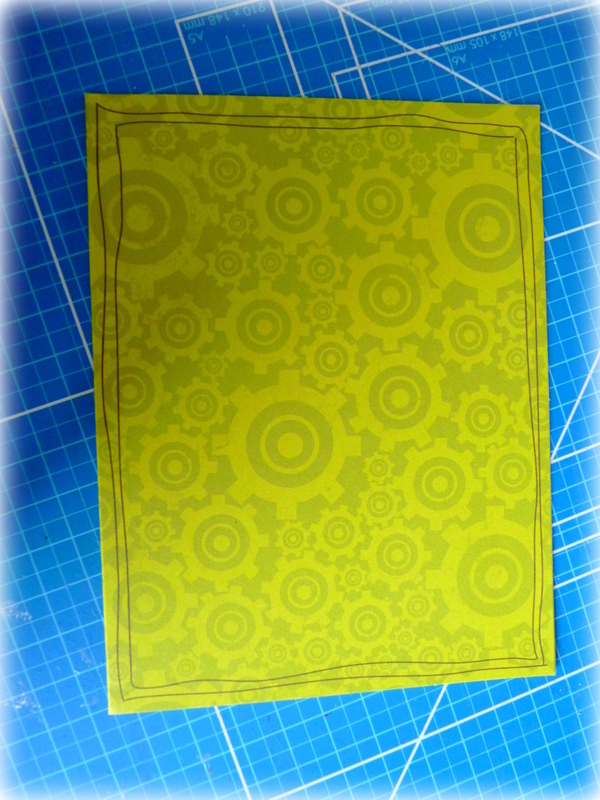 Step two: Trim two pieces of paper from the 6x6 paper pad and adhere to front of card. 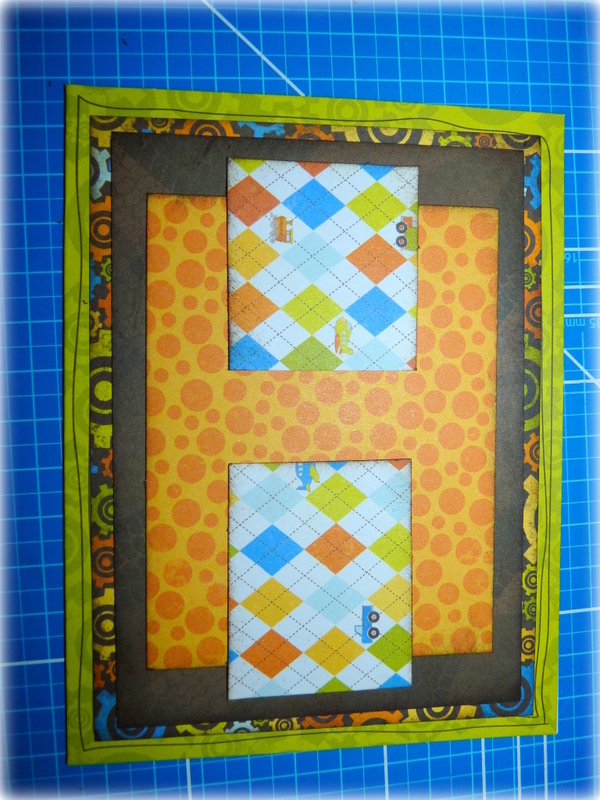 Step three: Adhere rubon and chipboard flowers from the Alora card kit. Step seven: Add jewels to the chipboard flowers. Be sure to check out the ongoing challenges! Remember, they are running for one month now! Be sure to link your submissions for the challenge to the challenge post for a chance to win a prize! Love love love love these!!! The BB team always inspires me! Great cards!!! Love the boyish style Romy did and the other is soooo cute as well!